A Resilient Workplace is an ecosystem of spaces designed to adapt and evolve over time, optimizing real estate while fostering higher levels of employee engagement. The Insights and Solutions guide offers ideas and design solutions to create a Resilient Workplace that helps boost employee engagement. A Resilient Workplace is an ecosystem of workspaces designed to adapt and evolve over time, optimizing real estate while fostering higher levels of employee engagement. The result is a more engaged and effective workforce that allows the organization to respond to changing business conditions. 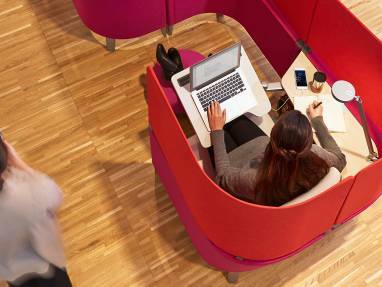 Through ongoing research and exploration via behavioral prototypes, Steelcase has uncovered two key design principles that can help organizations create resilient and cost-effective workplaces that address the issue of employee engagement. 2. 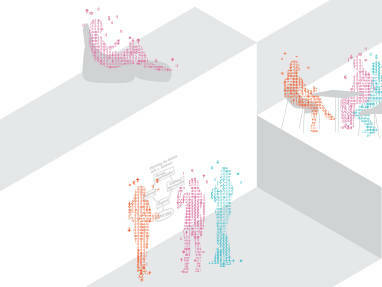 Ecosystem of Spaces: A workplace ecosystem supports employee wellbeing by providing individuals and groups with a range of options within the workplace. Workpspaces should support movement throughout the day and encourage healthy postures that help workers stay comfortable and energized. The workplace should support the need for focus and rejuvenation through workspaces where individuals and teams can think clearly, concentrate easily, solve problems and generate new ideas. Organizations should support the social nature of work by creating workspaces that nurture a sense of belonging and foster connections between people and the organization. 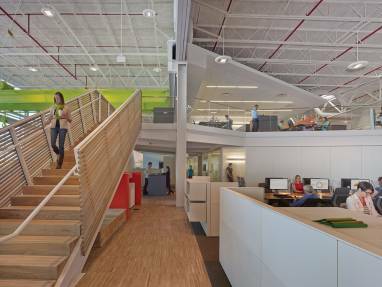 An ecosystem of spaces enables an organization to be more resilient. It uses real estate more efficiently and cost effectively, making it easier for organizations to experiment with different types of spaces and evolve the workplace over time. 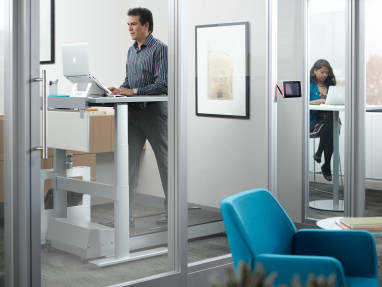 The workplace should encourage regular movement throughout the day and offer options for people to work in sitting, standing or lounge postures. Spaces should enable quality interactions with teams that are both local and distributed across continents and time zones, supporting both digital and analog communication. 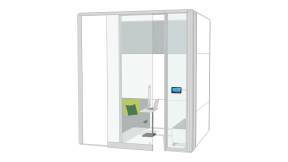 The work environment should provide places that offer varying ways to achieve privacy, in both open and enclosed spaces. 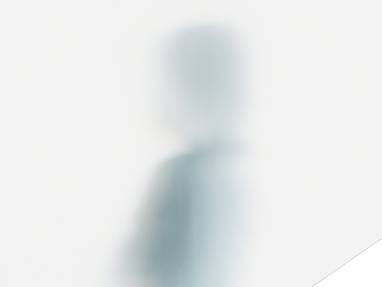 Privacy is important to all workers and a vital component of both focus and rejuvenation, which are essential to employee engagement. When creating a Resilient Workplace, consider the intentional combination of five spatial typologies (zones), designed to accommodate and anticipate changing organizational and employee needs. The size, ratio and adjacency of each zone should be tailored to match both your business objectives and cultural expectations. The result is an agile workplace that supports change, rather than resists it. Assigned spaces for workers to complete everyday tasks. 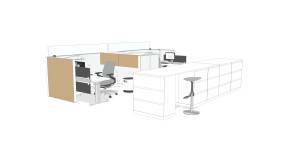 A space to support both individual focused and collaborative work. 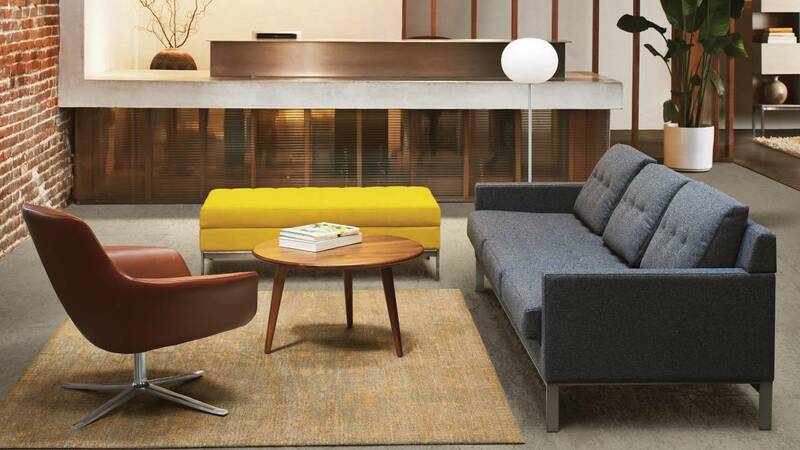 Owned amenities like personal storage and uniquely chosen worktools allow workers to personalize their space. A welcoming destination for mobile workers to connect with others or find an appropriate space for focus. The Nomadic Zone fosters a range of interactions from short-term to long term with quick and easy access to data and power. 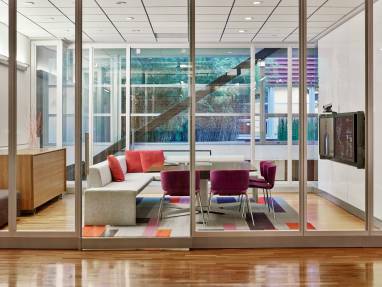 A comfortable area to socialize, rejuvenate, informally collaborate, focus and seek nourishment. Design considerations can be tailored to a specific team or department’s culture. 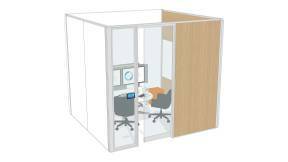 A convenient central location that offers worktools and shared materials, as well as an option for personalized assistance and facilitated services. 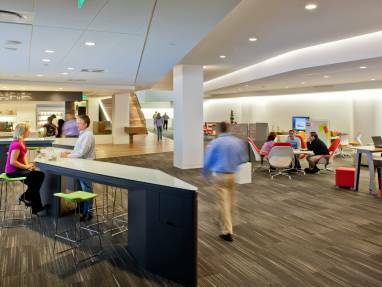 At Steelcase, our own workplaces serve as living labs for our design ideas. 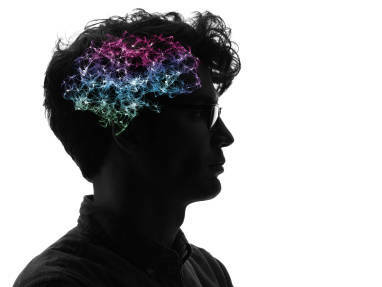 We research, develop, refine and evolve our insights on ourselves prior to bringing them to market. These insights help reduce your risk, as you create your own combination of spaces using our design ideas. 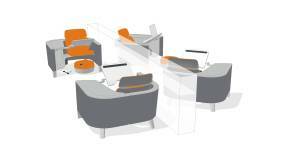 Two of our living labs are the Steelcase WorkCafé and our Innovation Center. Explore our design ideas and tools, and discover what makes each of these proven spaces work and how you can customize your own combination of spaces. Innovation drives advancement. That’s always been true – throughout history, in every enterprise and in every part of the world. 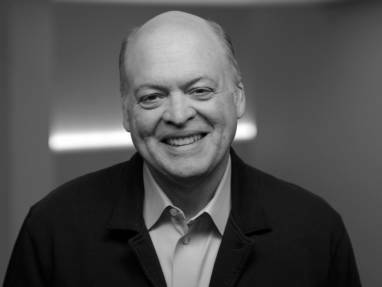 An Innovation Center is a solution for organizations that supports collaborators with the range of settings to support the switch between individual and group behaviors. 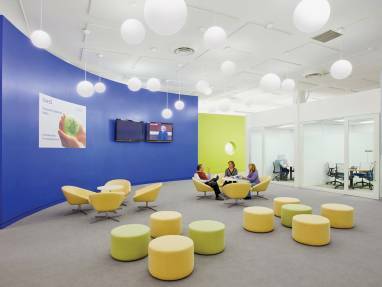 It is a space that communicates a culture of innovation to the employees it houses. Business tasks today are more varied and more challenging. Workers are increasingly mobile and distributed. They often leave the office for a coffee shop or other third place, which separates them from coworkers, organizational resources and culture. It’s fast becoming a deeply-embedded yearning of our time. In workplaces throughout the world, there’s awareness that we’re not performing to full potential and too many distractions are to blame. While the diagnosis may seem clear, most people feel helpless to do anything about it other than to keep working harder at staying focused. 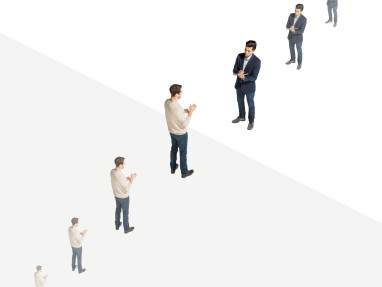 The Steelcase Global Report is the first to explore the relationship between employee engagement and the work environment. This guide offers specific actions and solutions to create a workplace that helps boost employee engagement. Resembling a vibrant community, this dynamic new ecosystem of spaces supports all of the ways people want to work. When thoughtfully curated, these destinations blend design, materiality and performance in a way that creates a vibe and transcends the trends of the day.